Yes, our Windows shared hosting accounts running IIS 7 support the use of Internationalized Domain Names (IDNs) for primary domains, subdomains, and alias domains. Hosting account domains must be entered using ASCII characters. Because IDNs may contain non-ASCII characters, they must be translated with an Internationalizing Domain Names in Applications (IDNA) to ASCII algorithm that results in Punycode, an encoding syntax that uses ASCII characters to represent non-ASCII values. Punycode is also accepted for IIS virtual directory names. Although domains and virtual directory names must be entered using ASCII format, the URLs pointing to them may use either native characters or Punycode. Directories are stored on the server using Punycode and will appear in this format when uploading through FTP clients. For example, to set up 世界.com as the primary domain name on a Windows IIS 7 shared hosting account, you must enter its Punycode translation xn--rhqv96g.com. To create an IIS virtual directory named 平和, you can enter the Punycode translation xn--0tr53u. 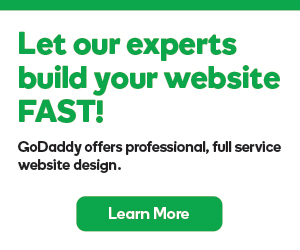 Main domain not working after I reset my GoDaddy Shared Hosting account. Is this normal? I have a deluxe linux cpanel account I want to add a domain but I want it to be a windows domain.